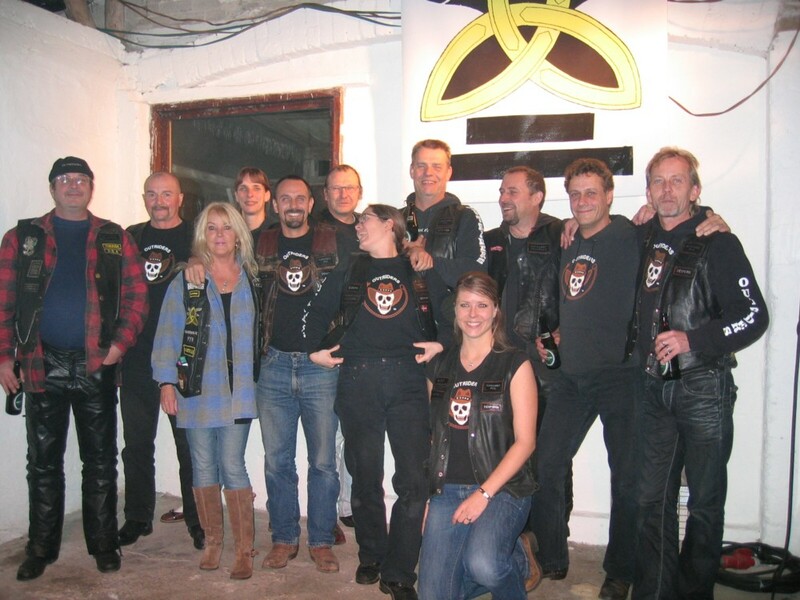 Most of us first met The Outriders at The 2nd International Virago Rally in Denmark in 1999, and as this indeed was an "interesting" meeting, we decided to visit Outriders at their rally in England in 2000. It was a good decision, a fantastic rally where we had a great time with the Outriders. 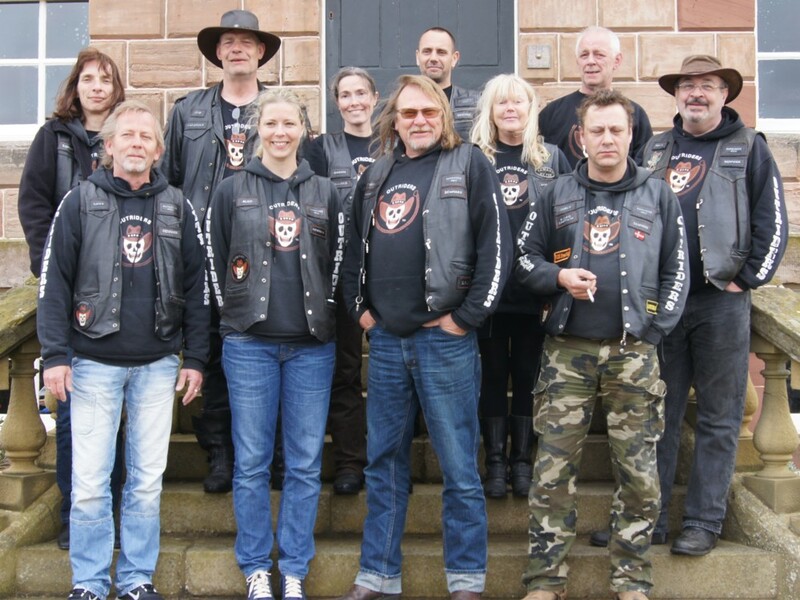 Ever since then The Outriders have been some of our best friends, and we have shared countless great hours together at rallies and on the road all over England, Holland, Luxembourg, Germany, Denmark and Sweden. 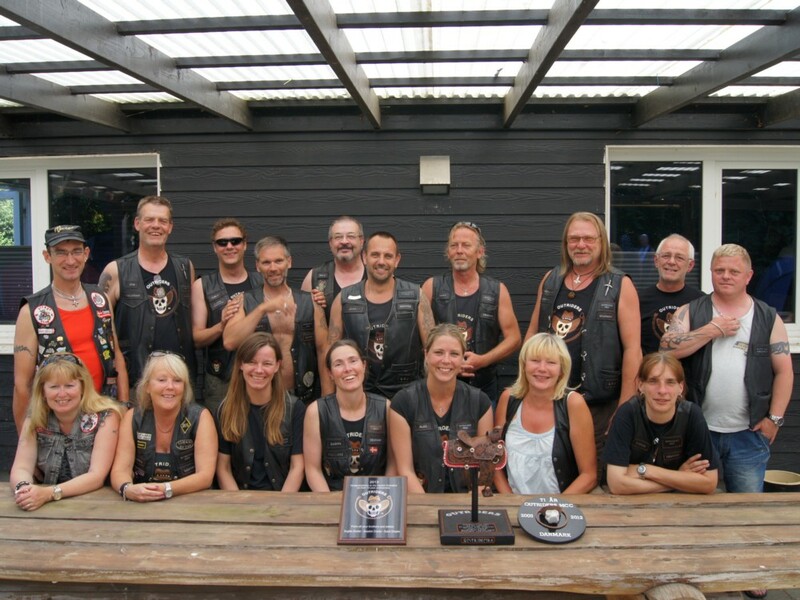 We have also been regulars at The Outriders End of Season-Party since 2000. Two of us were offered honorary memberships in Outriders at Christmas 2001, and a third got the offer at End of Season in 2002. Needless to say that we all were very proud and accepted the offer!!! 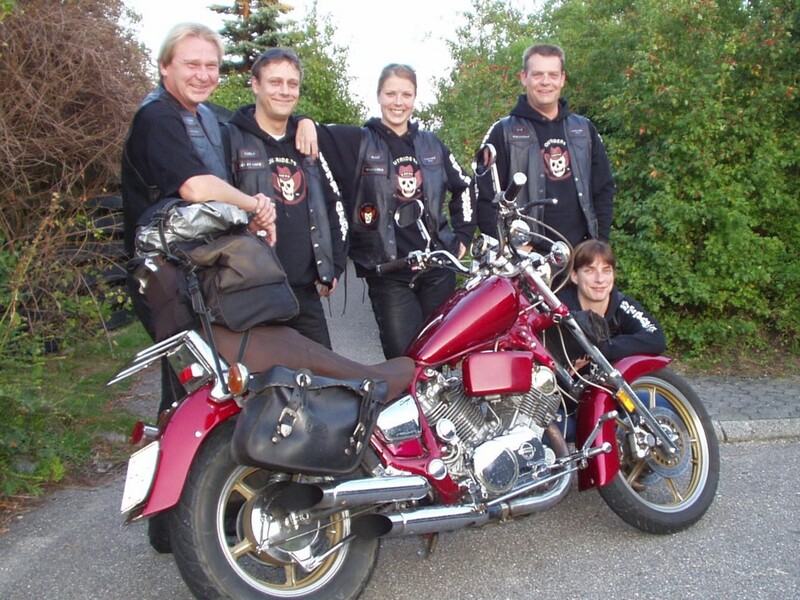 When our former club fell apart in April 2003, we were all very tired of motorcycle clubs and decided NOT to start a new club, but after a great trip with the Outriders - 2 rallies and 5 countries in 10 days - we changed our minds. 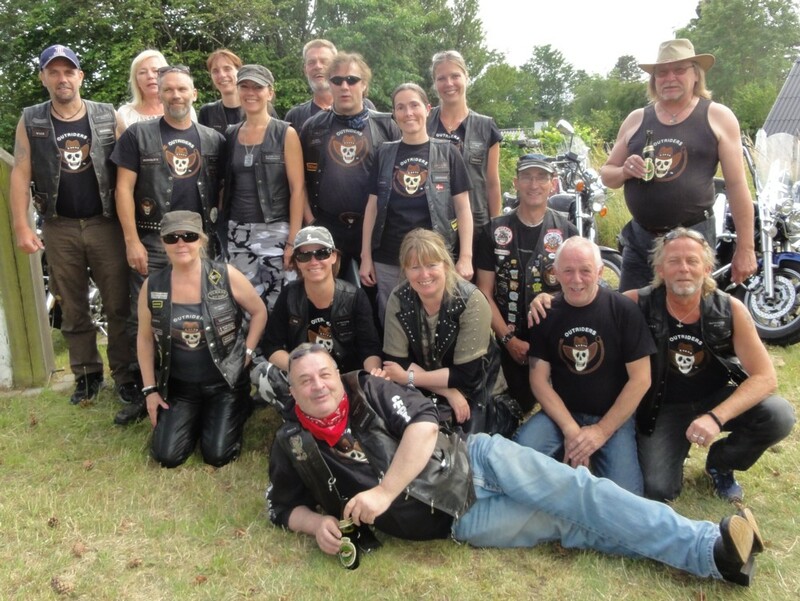 We got permission to start a Danish chapter of Outriders and here we are! We started with 5 founding members in 2003. Today (Mar 2019) we are 8 full members and 3 honorary members, and we are confident that more "gals and guys" with the right spirit will join us in the future. All we want to do is ride our bikes and have a good time, BUT we ride a lot and we are taking care of each other in the club, so be prepared for an active life with your bike and a lot of fun with your brothers and sisters. "Don't ride faster than your angel can fly!"